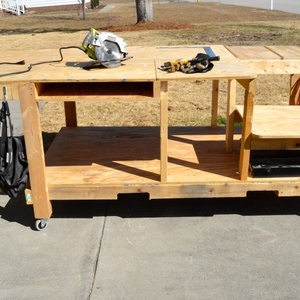 We made this moveable workbench for our 2 car garage, so it can easily be moved to the side. 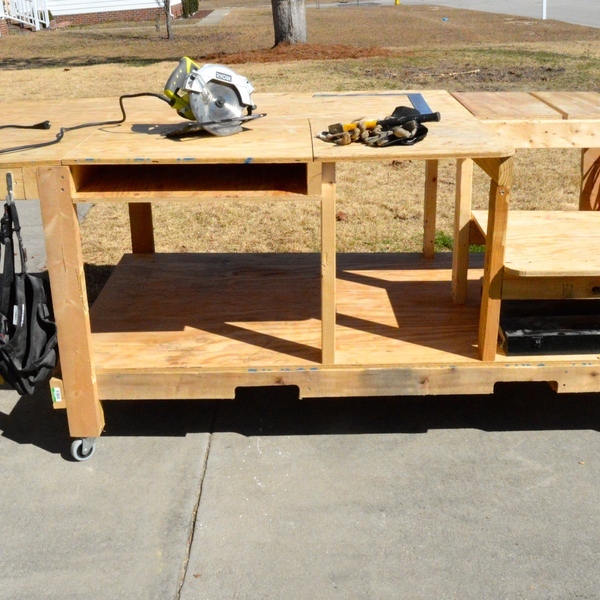 It has a space for a miter saw and a table saw as well as plenty of storage space. There are hooks for work belts and cords. Made from mostly scrap wood and a couple 2x4s.